BellaMuse Birthday Card - Birthday Whoopie! Another one of our classic birthday cards. 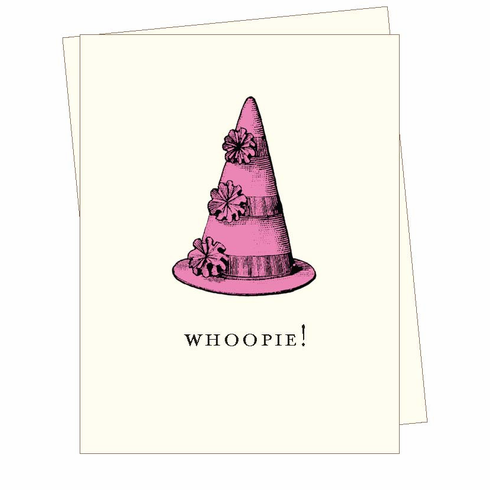 Fun and festive, the image of a purple party hat is paired with the text "Whoopie!" Perfect for any age. Blank inside.